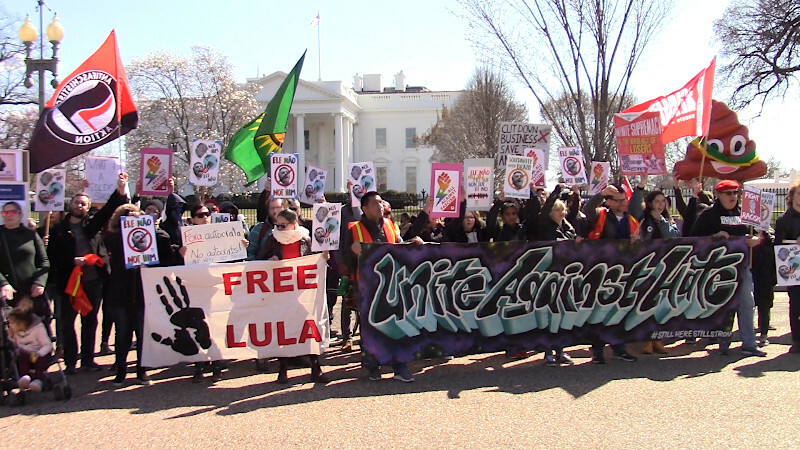 On the 11th of April, British police "forcibly removed" and arrested Julian Assange on an extradition warrant from the United Snakes after the government of Ecuador cravenly gave them a green light. 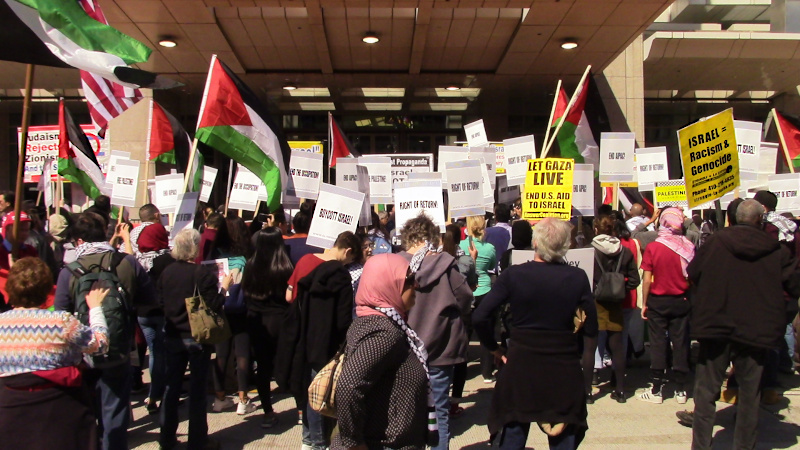 That afternoon, protesters showed up at UK embassies all over the world. One of the protests was here in DC. 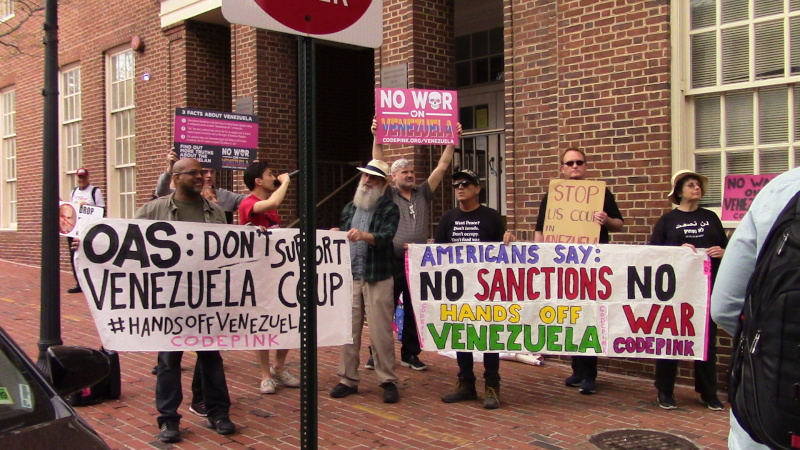 Protesters are demanding that Assange (of Wikileaks) be released and NOT be extradicted to the US. In Somalia, 60 percent of the 15 million person population lives in extreme poverty. According to the United Nations Development Programme almost 10 million people live in extreme poverty or close to poverty in Somalia while the war-torn African nation wrestles with a $4.6 billion debt. 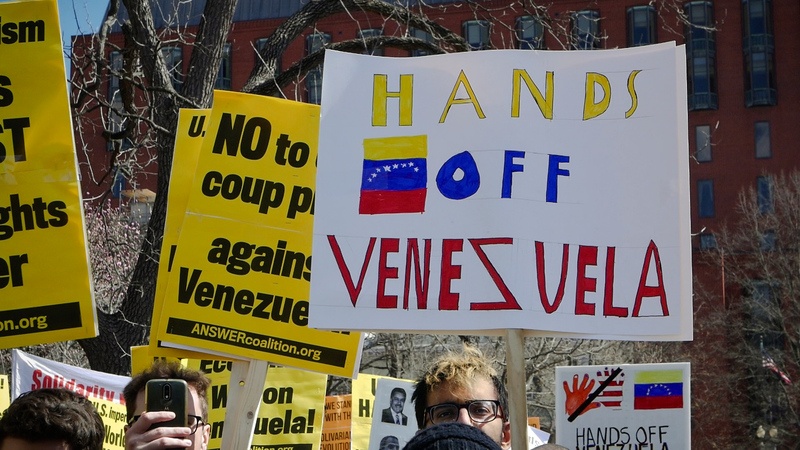 Late afternoon on April 9, protesters showed for a symbolic defense of the Embassy of Venezuala from any takeover by the forces of US backed, self-declared "president" Juan Guaido after the OAS voted to recognize his envoy instead of that of the actual government of Venezuala. 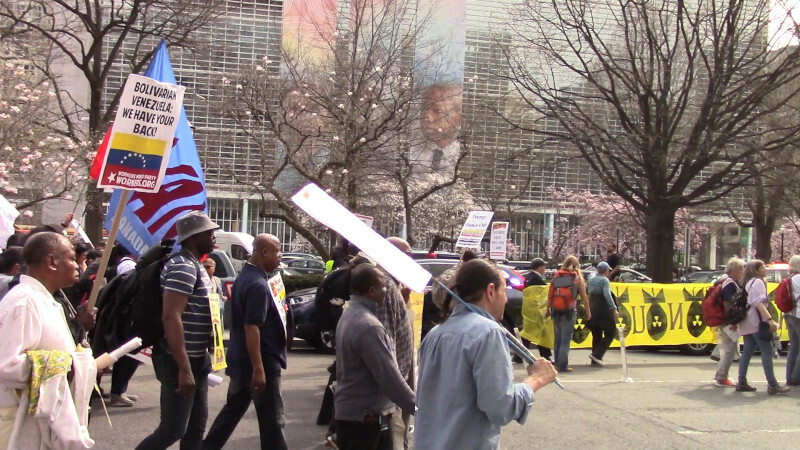 On the 30th of March, a protest against NATO and against US intervention in Venezuala marched from the White House to the IMF and World Bank, two weeks before the 2019 Spring Meetings.